Some things just go together. Like bank holidays and DIY. If you plan to sell your home in the near future then you may be thinking about all those niggly little jobs around the house that you’ve been putting off but could impact on how potential buyers see the property. Here are some quick weekend wins that could improve that value of your home in the eyes of purchasers. 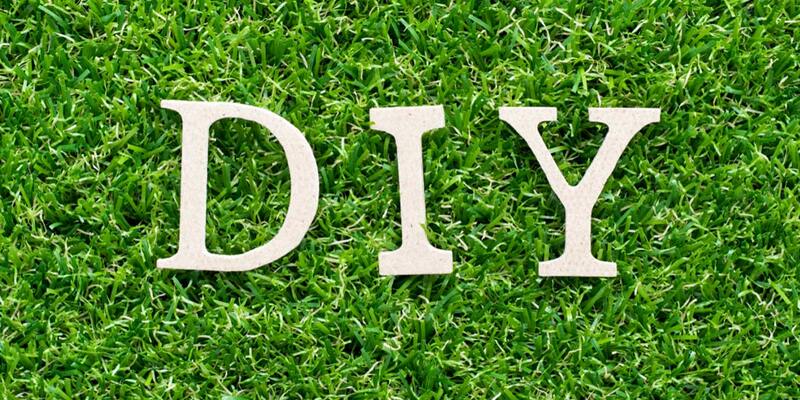 If you’re not going away, the Bank Holiday weekend is the perfect time to get stuck in to DIY home and garden improvements. With just three days available, our recommendation is to tackle the simple DIY jobs that will help you to both enjoy your home while you’re still living and increase its value in the eyes of potential buyers when you come to sell to ensure you achieve the best sale price possible. The kitchen is one of the most important rooms in any home as it’s so often the central hub of activity for the whole family. If you’re planning on moving soon, you probably won’t want to invest in a new designer kitchen but you will want the existing room to look as fresh, clean and modern as possible. Why not add a new acrylic splashback to the wall behind your work surfaces for an affordable alternative to glass splashbacks or tiling? This is a great way to add a block of accent colour to the room. Alternatively, you could change or paint your existing cupboard doors or even just change the door handles to bring the style of your kitchen up to date. A fresh lick of paint can lift a room and completely change its appearance. When you’re selling a property, it’s best to use neutral colours such as whites, creams and greys and accent them with coloured textiles and accessories around the room. This helps viewers to imagine their own belongings in the house and you can quickly change and refresh the style by swapping the accent colours. Light walls will also help to make the most of any light in the room throughout the year. What would a potential buyer see if they were to pull up outside of your property right now? Depending on the space you have available, you can grab interest and create curb appeal with planters by the front door (check out this gorgeous board on Pinterest, which is packed full of ideas), bright perennials that flower all year round, hanging baskets or jet washing the paving can make a big difference! Try to lead the viewer’s gaze from the gate to the front door to help them imagine arriving home every day. Another way to improve the curb appeal of your property is to replace the door. You might want to think about a door in a weather resistant material or with better security measures than your existing door. Or, if you have a period property, installing a door in a colour or with fittings that reflect the age of the house. If you can’t afford to replace the door or the one you have is of good quality, you could always repaint it or add a new house number, letterbox and door handle to refresh its appearance. Take a look at the condition of the fences around the perimeter of your property. Do any need repairing? When was the last time you treated the wood to protect it against the weather? Repairing, treating or even painting your fences can transform the appearance of your garden overnight. If you want to grab attention, try painting your fences a bright sky blue that’s reminiscent of summer days all year round. Another statement is black fence paint that makes the colours in front of it pop, especially verdant greens. When it comes to selling your home, your bathroom is just as important as the kitchen. Whether or not people actually get the time to take long leisurely showers or relax in the bath, it’s something they love to imagine when viewing new properties. Buyers also want bathrooms to feel bright and clean and that they can be used straight away. Quick Bank Holiday weekend wins include replacing any broken or loose tiles or refresh the grouting around them. Alternatively, you could replace the taps, plug and shower-head with new, lime scale-free fittings or give them a deep clean so they’re as good as new. How much storage is there in your bathroom? This is a practical concern for many buyers. Where will they keep their towels and spare toiletries? If you can build storage space, even with a standalone unit, this will help people to visualise where their own belongings will go. The lighting in your house can be one of the most effective, simple and affordable DIY jobs to add value. Move from room to room and look at the lighting. If there are lightbulbs that have blown, now is the time to replace them. If you have tired, grubby lampshades, they might just need taking down and cleaning but you may also decide to modernise your room by replacing them. Perhaps you have low hanging lights that are causing heavy shadows around the top of the room or lampshades that are too small for the space around them. Is there a dark corner of the room that you could brighten up with a standard lamp? Would a room benefit from a statement light like a chandelier or something more reminiscent of a modern piece of sculpture? Every space is different but subtle changes to the lighting can make a big difference to how people see a room. These days, many of us are choosing to have wooden floorboards throughout the house, especially where there’s the most footfall, instead of wall-to-wall carpeting. Floorboards are easier to keep clean, less likely to date and can be tied into the changing décor of a room through the clever use of rugs. Many DIY and flooring shops sell interlocking floorboards of various depths and finishes that can be fitted without professional help. With the aim with landscaping your garden to increase the value of your property,the trick is to keep things striking but simple. Unless you’re selling exclusively to keen gardeners, most busy buyers want low maintenance outside spaces where they can enjoy relaxing after a long day without spending hours doing backbreaking weeding every other weekend. Think about planting drought-tolerant plants that will survive a hot summer’s hosepipe ban or evergreen plants that look rich and lush all year round. Add interest with plant pots of varying sizes, shapes and colours, each full of low maintenance bedding plants or shrubbery. Try strategically placing solar-powered lanterns and fairy lights around the garden to conjure up visions of long summer evenings. Another great trick is to strategically place large mirrors around the garden to create the illusion of more space and greenery. We’ve talked about updating the fixtures in the bathroom, kitchen and on the front door but another top tip is to replace the fixtures throughout the rest of the house. New light switches, curtain rails, plug sockets and door handles can all help to bring rooms up to date and add interest. Before you put your property on the market, you’ll need to begin emotionally distancing yourself so that you see it less as a home and more as a house for sale. To achieve this, it’s a good idea to declutter the house by having a good sort through. You might decide to throw out, donate or sell some of your belongings or pack away the more precious items and put them in storage for the time being. Ideally, viewers should come into your house and be able to visualise living there. This is why neutral colours and fairly middle-of-the-road furnishings and accessories can help because they create a blank canvas for potential buyers. Small DIY jobs such as deep cleaning the windows, painting the skirting boards, replacing broken lightbulbs or hanging new curtains can all increase the value of your property in the minds of house hunters, leaving you free to find the home of your dreams. We have a large team of valuers operating throughout London and the South conducting valuations on commercial and residential property for all kinds of purposes including; loan security, sales, probate, financial reporting, expert witness requirements, matrimonial, landlord and tenant matters and insurance reinstatement. Use our contact form to get in touch with Nathan Hall, Head of General Practice.